The global market for breast implants has been growing at a robust rate on account of several medical and physiological factors that have surfaced across the world. The development of new and advanced techniques for breast implants have proved to be a boon for the global market and is expected to further enhance the growth prospects of the market players. Breast implants are a form of cosmetic surgery performed by trained experts who are abreast with the latest technologies. The recent trend amongst women to enhance their physical appearance has given an impetus to the growth of the global market for breast implants. The creation of perfect body images and ideas by means of advertising has persuaded women towards attaining the perfect physique. Hence, the demand within the global market for breast implants has been escalating at an ascending rate over the past decade. Furthermore, the high incidence of breast cancer has also played a part in enhancing the growth prospects of the global market. The market for breast implants in North America has witnessed commendable growth in recent times due to multiple factors. The expertise of the surgeons and medical practitioners in the region has attracted people from across the globe for getting breast implants done. Furthermore, the awareness amongst the masses about the latest technologies for beauty enhancement and aesthetics in North America has also aided the growth of the regional market. Women in particular possess a heightened conscience about their appearance and looks. A growing number of women are employing various methods to enhance their physical appearance. Breast implantation is one of the trends that has been increasingly popular among women. Breast implantation surgery has seen tremendous change on account of the technological advancements in the cosmetic surgery field. Most women have a high preference for enhancing their esthetic appeal. This in turn is fueling the demand for breast implants worldwide. As per the American Society of Plastic Surgeons, breast enhancement is one of the top five cosmetic procedures which is conducted in the U.S. The number of women undergoing breast implants is staggering in the U.S. The growing incidence of breast cancer is one of the key factors boosting the global breast implants market. In many severe cases of breast cancer, there is a need for removal of the entire organ. Reconstruction is thus required, which involves the re-building of the removed organ. This is anticipated to boost the global breast implants market. On the basis of shape, round-shaped implants contributed toward the largest revenue share in 2016. Due to the round shape, they are ideal for breast augmentation. These devices tend to look like a compressed sphere. Hence, these products generated huge demand, thereby supporting the growth of the market. On the basis of shape, the round shaped implants segment is leading in the market as they eliminate any problem arising at the time of implant rotation. However, anatomical shaped breast implants segment are expected to grow significantly during the forecast period on account of their natural shape. Most women want naturally shaped breasts and thus, the segment will witness potential growth during the years to come. The implant procedural cost is reducing and this is fueling the growth prospects of the breast implants market across the U.K and Spain. The growing competition among plastic surgeon coupled with the increase in the number of cosmetic surgery clinics are expected to create growth opportunities for the breast implants market. The growing number of qualified plastic surgeons is expected to increase in the years to come and this is further expected to boost the global breast implants market. A large number of plastic surgeons in the U.S. and Europe, are reducing their labor fees so as to get more patients and survive in the competitive breast implants market. This will increase the affordability for patients and encourage them towards implanting breasts. On the basis of geography, North America is leading in the market on account of the rising prevalence of breast cancer in the region and a higher spending towards healthcare. Europe is also contributing significantly in the market on account of the growing awareness among the people in the region and a large number of cosmetology clinics in the region. Additionally, Asia Pacific is also likely to witness a growth in the market on account of the rising disposable income of the people in the developing nations. Medical tourism will drive the market in the region. Asia Pacific is expected to offer opportunities by offering low cost treatments. 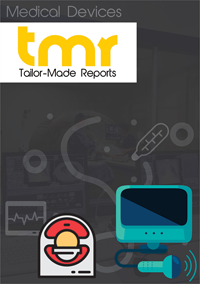 Key players operating in the global breast implants market are: Arion Laboratories, Allergan, Silimed, Mentor Worldwide, Establishment Labs, GC Aesthetics, Groupe Sebbin, Guangzhou Wanhe Plastic Materials, Sientra, Hans Biomed, Ideal Implant, Cereplas, and Polytech Health & Aesthetics.